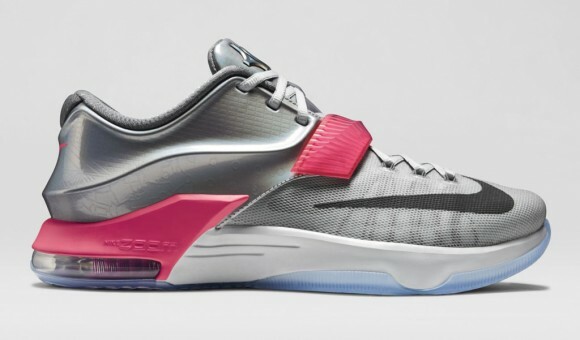 The 2015 all-star sneaker for Kevin Durant in the Nike KD 7 ‘Zoom City’ is available at the retailers listed below. 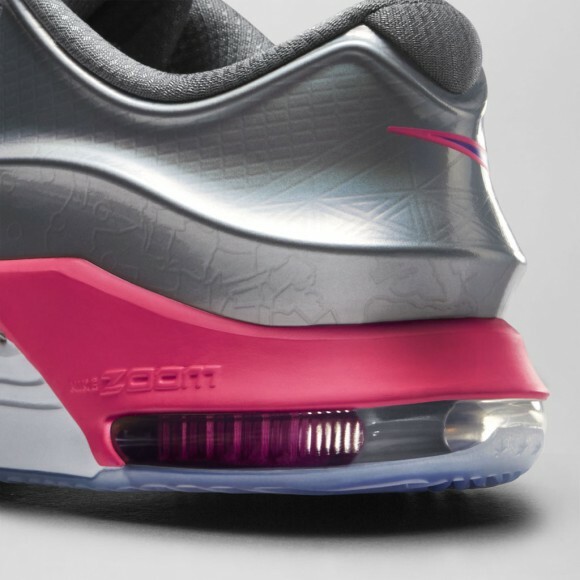 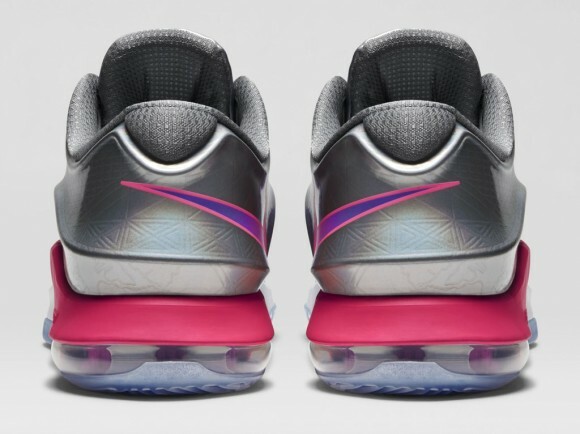 A feature that you might not notice in the images is the fact that the shiny posite material on the heel is iridescent/holographic, meaning there is a slight color change in the right light. 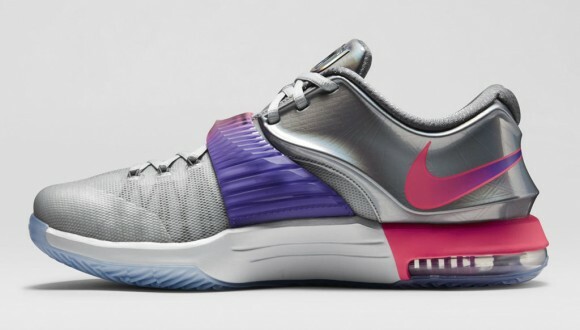 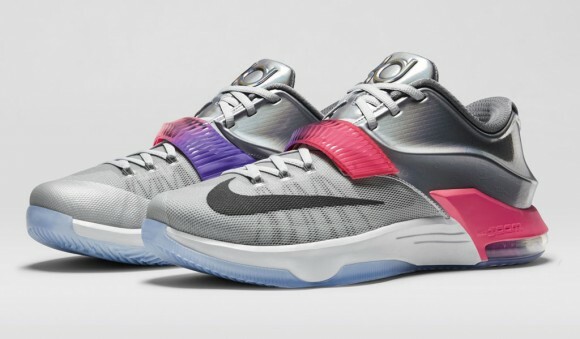 If you were interested in how these perform, check out our performance review on the KD VII. 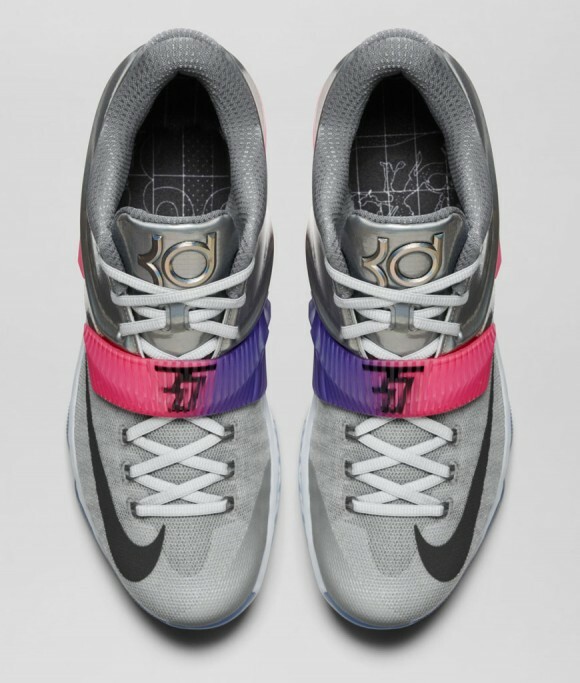 Nike Store | Finish Line | Foot Locker | Champs | Eastbay | Size?